Gilead has announced the unusual step of allowing its new and highly expensive hepatitis C pill to be sold as a cheaper generic in India. 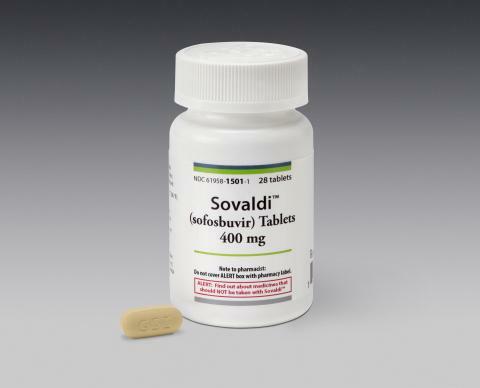 The firm says it plans to license its ‘breakthrough’ hep C drug Sovaldi (sofosbuvir) to a number of Indian generic pharma manufacturers, allowing for lower-priced sales of the medication. Although prices for the drug have not yet been set, company spokesman Nick Francis told Reuters that Gilead aims to establish ‘tiered pricing’. For example, the price discussed for 24 weeks of Sovaldi therapy would run about $2,500 for certain patients at public hospitals, community clinics and non-governmental agencies in India, the Hindu Business Line reported earlier this week. “Providing treatment in resource-limited settings presents complex challenges, and we will work with partners in multiple sectors around the world to ensure our access programme reaches as many patients as possible,” Francis said. Gilead said final details of the programme in India will be announced in coming months. In the past, a number of pharma firms have been scuppered when trying to sell their patented medicines into India. This is because the country’s Supreme Court has made it clear that it will not grant new patents for improvements to old medicines, unless the new medicine led to a significantly improved therapeutic efficacy. If this is not the case, as it was with Bayer’s liver and kidney cancer drug Nexavar, then the Court can overrule a firm’s patent and allow the generic manufacture of that medicine. Gilead may well be trying to head off this trouble by allowing cheaper versions to go through now, instead of waiting for its patent to be made invalid in the region. Roche took a similar tact last month when it decided to launch a biosimilar version of its breast cancer drug Herceptin in India. This was because it looked highly likely that it would lose its patent rights in the country, and was seen by analysts as a way to save face. Gilead’s decision will also stem the flow of criticism it received from the medical charity group Médecins Sans Frontières (MSF). Tahir Amin, a lawyer and director of I-MAK, said simply the drug was: ‘Old science, existing compound’. By offering it for around $2,500 for 24 weeks of treatment, as reported by local media, this would go a long way to win the PR battle with MSF. For Gilead, India would never have been a large market for the firm - the biggest revenue growth will come from the US, where Sovaldi was approved by regulators in December. In its native market the drug costs $84,000 for 12 weeks of therapy - or $1,000 for a daily pill, the highest price charged for the drug in the world. In fact its cost has been criticised by some patient groups and the public, a number of whom demonstrated outside the company’s HQ in the US last month. Its low price in India may dampen censure in India, but could reignite tensions in the US. But the California-based company has said the price tag ‘is fair’ because the treatment offers a potential cure for the liver-destroying virus without injections of interferon, which can cause severe side effects that compromise patient outcomes. Analysts have estimated that the drug will eventually generate billions of dollars in annual sales, with Sanford Bernstein forecasting revenue this year alone of $6.7 billion. Sales of Sovaldi in the last three weeks of 2013 totalled more than $139 million. Other companies including Johnson & Johnson, AbbVie and Merck & Co are also working to develop new hepatitis C treatments, with some in advanced stages of clinical studies.